Deepen your relationship with God and your family with Scripture Meditation. Scripture Moments for Young Families is held on Sundays at 10:05 a.m. (following 9 a.m. Mass) and 10:45 a.m. (preceding the 11:15 a.m. Mass. Sessions are approximately 20 minutes long in the Parish Center Rooms 106/107. For young adults and older, “Where Jesus Walked Scripture Meditation” will be held on Sundays at 12:15 p.m. The Spiritual Exercises of St. Ignatius Loyola are a compilation of meditations and prayers developed to deepen your relationship with God. Click here for complete schedules. – Parishioners are invited to an online faith enrichment program for adults and teens. Scheduled group meetings will be held on Tuesdays and will be supplemented by virtual home study and discussion for those who cannot attend the meetings. Lessons and discussion forums are available at FaithEnrichment.org. 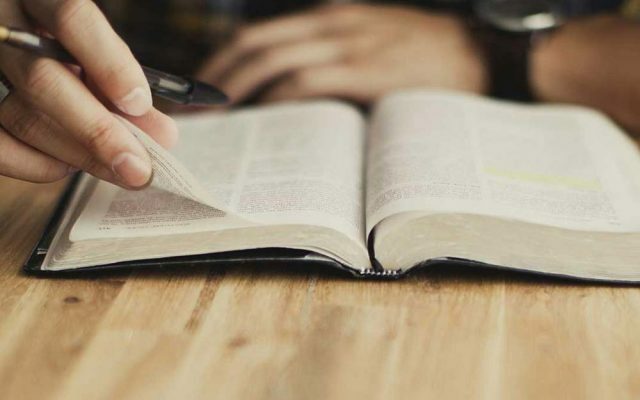 – Members of the Family Faith Sharing group who would like to use this study option, parishioners interested in a faith enrichment opportunity and non-parishioners who are interested in learning about Catholicism are welcome to participate. – Visitors to the website http://faithenrichment.org/ can learn about the program and apply for a registration. Only registered users can post and participate on the forum. All postings are monitored so only posts approved by moderators will be visible to all. Women’s Retreat, February 10-11, 2018. Ryan Verity has been appointed Business Manager for St. Mary Parish. For the past five years, Verity has served as St. Mary’s youth minister, creating two vibrant youth groups for high school and middle school and establishing the youth room in the Parish Center. He was also instrumental in sending three teenagers from the parish to Poland for World Youth Day during the summer of 2016. In addition, Verity helped develop the annual Chowder Chase 5K Run, served as co-chairperson of the parish picnic and designed a successful overnight retreat for confirmation candidates, have done for over 650 teens. “My biggest accomplishment, I hope, was being a good role model and teacher to our young church,” Verity said. A native of Western New York and former student at St. Mary School, Verity worked in family-owned restaurants since age 14 and became general manager for Burger King and Taco Bueno at the age of 20.Verity holds a Bachelor of Arts from the University of Oklahoma and a Master of Business Administration from Medaille College.